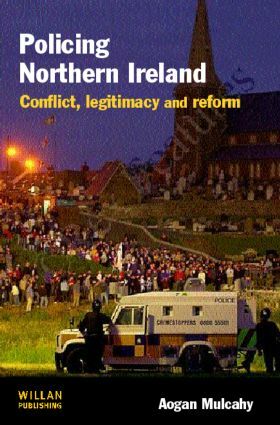 This book provides an account and analysis of policing in Northern Ireland, providing an account and analysis of the RUC (Royal Ulster Constabulary) from the start of 'the troubles' in the 1960s to the early 1990s, through the uneasy peace that followed the 1994 paramilitary ceasefires (1994-1998), and then its transformation into the Police Service of Northern Ireland following the 1999 Patten Report. A major concern is with the reform process, and the way that the RUC has faced and sought to remedy a situation where it faced a chronic legitimacy deficit. Policing Northern Ireland focuses on three key aspects of the police legitimation process: reform measures which are implemented to redress a legitimacy crisis; representational strategies which are invoked to offer positive images of policing; and public responses to these various strategies. Several key questions are asked about the ways in which the RUC has sought to improve its standing amongst nationalists: first, what strategies of reform has the RUC implemented? second, what forms of representation has the RUC employed to promote and portray itself in the positive terms that might secure public support? third, how have nationalists responded to these initiatives? The theoretical framework and analysis developed in the book also highlights general issues relating to the implications of police legitimacy and illegitimacy for social conflict and divisions, and their management and/or resolution, in relation to transitional societies in particular. In doing so it makes a powerful contribution to wider current debates about police legitimacy, police-community relations, community resistance, and conflict resolution.